The Courtyard Dairy in Settle, Yorkshire Dales, England. One of Europe's finest cheese producers. Andrew Marshall takes us on a tour of the European regions producing the best examples of this dairy delight. Gastro tourism is big business right now. It seems many of us are no longer just satisfied with visiting well worn cities and sites, and taking the requisite Instagrams to prove it. Now we want something else from our journeys – an authentic experience that isn’t just about seeing, but smelling and touching and tasting too. The cornerstone of this epicurean exploration movement is the lure of discovering delicacies at their source. Perhaps no other food lends itself to such consideration – and adoration – as cheese. 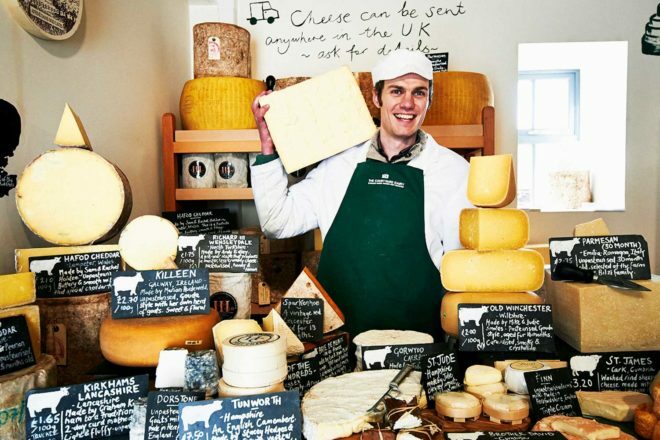 From gargantuan wheels of Parmesan to chunks of rustic Wensleydale to creamy, oozy Camembert, tracking cheese’s journey from paddock to plate transports the traveller to bucolic country idylls and through centuries of tradition and practice. And it also provides ample opportunity to sample the wares!